Dynatrace is step ahead from other tools wherein it focuses on the problem identification rather than just alerting on the issue. It uses holistic view of the monitored environment and suggests you the bottlenecks way beyond the capability of the other tools. The Purepath and smartscape are one of the best features when it comes application diagnostics. Not much, but the documentation of Dynatrace Managed/SaaS could have been improved. Dynatrace provides end-to-end monitoring of the application where in the same window you can see all your different technology boxes connected with each other in a very presentable graphs and you can easily drill down the red points and narrow down the problem areas. It definitely adds to the productivity in terms cost reduction by using less and less number of different technology agents (by using just oneagent solution). "Dynatrace on SAP-ME and SAP-MII"
It is a simple installation tool, and after its installation creates a simple work environment, and with all the necessary tools to determine all kinds of faults in the different production processes, determining the real cause of the problem, and observing which are the facts, more timely that should be taken, to solve in the best way, the failure that has occurred. When you start using this application you see several problems with software management, and especially with the monitoring of certain applications, which did not work in a bad way, it was a bit difficult to automate the different processes that users occupy with the different applications. We can visualize and monitor all kinds of applications that we use every day, we also have constant monitoring of our databases, and we keep a record of all types of events that may affect the safety of our students and all the staff that manages your information online, thanks to Dynatrace timely alerts, unexpected access to files and information, which has certain types of restrictions to access, thanks to the Dynatrace system, we found many faults, in different areas of work that previously we could not find, but thanks to its precise, detailed study of all production processes, all sorts of problems can be determined, which are causing problems at all levels of work. What Digital Experience Monitoring (DEM) solution do you use? "Excellent APM product that is easy to deploy, manage and use"
I really liked how easy it was to deploy the SaaS vesion of Dynatrace in our environment. We have a lot of tools that have plenty of capability but they don't get a whole lot of use because they would require someone who is an expert to use them. With the SaaS version of Dynatrace, all the admin functions are taken care of by the Dynatrace team (updates, patches, new features, bugs, etc.) and our small shop can focus on getting valuable metrics, alerts and issue resolution from the product. That is very important because despite how many features and how powerful a product is, it will only return value to an organization if it is being integrated and used regularly for its intended purpose; Dynatrace makes that easy for us. If I had to pick something I dislike, it is that it requires manual intervention to uninstall the cloud agent from servers you want it removed from. The installation part is the easiest of any linux tool I've ever installed, so I don't have a problem with that at all. What i have a problem with, is that in order to 100% remove the product, you will need to manually go to each machine and uninstall the cloud agent... I wish there was a feature that would allow a Dynatrace administrator to remotely uninstall / remove the cloud agent from the Dynatrace management console without having to physically log on to each server to achieve that task. My best recommendation for someone considering it is to deploy the trial version as a proof of concept on your non-production systems and ask for assistance from their pre-sales team if needed. Another thing I strongly recommend is that you attend some of the regional meetups and seminar that Dynatrace organizes, to not only get a feel of the product and the community around it from other actual users but also harvest other ideas and capabilities that Dynatrace could be used for. We are solving issues that we've experienced for a long time with storage volumes being slow and over-saturated and SQL databases not scaling properly when under load. We're also monitoring web services and using synthetic web checks to actively monitor specific parts of our production website and production applications. With the SaaS version of Dynatrace we started monitoring our VMware hypervisors and that gave us system specific metrics into our virtual environments. "Frustrating implementation with negative impact updates"
The layout is great. Service chains make it easy to see how each service is calling everything else. Sprawling connectivity view to see how the environment interconnects. Users are able to easily use this version. Implementation hassle was high. Consider using Dynatrace's hosted solution if possible. Be sure you have a tagging plan in mind to properly segregate services. There's a hidden limit to services that are tagged the same way, causing us to rearchitect parts of the implementation. If you plan to use the UEM features, be sure your applications have some way of identifying users in the code so every transaction doesn't show up as anonymous. Monitoring of applications and performance. We have received a better overall view of interconnectivity between apps in our environment. Helps show widespread problems assuming it catches the right transactions and doesn't miss data. "Easy implementation and quick results"
The ease of setting up the dynatrace installation. You create an environment and from there you can install the agents. This will make sure everything is in the right environment. After setting up the environments you will see data instantly and you can start troubleshooting issue's or get information about what is happening in your environment. For some technologies you need extra configuration to get the best value out of it. You have out of the box monitoring but for some technologies you want some more indepth information. Luckely Dyantrace can provide you that but it will take some extra work. The same is true for dashboarding, it is simple to setup a dashboard with the measurements you got but if you want something custom it will take some more time, but it is posible to get it. Try this product out, I'll be sure you will get value out of this product. I have used it multiple times and always find it usefull for troubleshooting production problems and monitoring production. Finding the slow spot in the environment and drill down to code level to see what is causing the issue. We also use the dashboard feature so that we have real-time information about are environment. We have found and solved memory leaks, debug code in production, misconfigured servers. We also installed it on our acceptance environment to do a check of the patches that are beeing developed to see if they will solve problems or that they just make things worse. "Invaluable insight under the hood of your applications"
Massively saves time when investigating the root cause of application issues. Instead of manually trawling through individual servers for performance stats, error logs etc, Dynatrace gives it all in a single web UI. PurePath view allows visbility of the exact lines of code that are failing and what the response from a remote endpoint was for example - helps with replicating a call to diagnose what's going wrong. Visibility of Host server health allows a quick check for memory/CPU/disk space issues and alerts can be fired to ensure they're rectified before causing any downtime. Interface can be a little overwhelming at first with a bit of a learning curve to find your way around it. Once you get used to the layout and various options though it's extremely powerful and useful. Take the time to tag your hosts/assets to make search/filtering easier. Look at tailored email alerts so you're aware of any problems as soon as they arise. Middle of the night fault fix callouts are much easier to diagnose and remediate thanks to Dynatrace alerting and the ability to drill down via PurePaths to the specific calls/requests that are resulting in errors. Setting up alerts means you can identify and fix problems often before the end users are even aware of them. I typically use dynatrace to understand the flow from end -end.I work for credit card based company and when one of our customer is having issues with for example payment, using dynatrace I trace the request using IP address, understand at what point failure happened and find the root cause.We have dynatrace agent installed on all our servers which has different applications. Having this helps us to see what happened and where is the point of failure. I would like dynatrace to have support for browser to that we can find information like time taken to load a web page ...etc. We use Dynatrace primarily to find the root cause of production issues, send alerts to phone/email whenever there is a failure. Starting from sending alerts to production support team, helping to debug issues and find the point of failure. Excellent tool for locating complex to complex production errors occurred during a particular time span. Provides unlimited ability to store back dated transaction upto many days and months. Configurations to filter pure path and other items based on date, url and custom field under business transactions. Dyntrace provides ability to configure multiple servers under same root. It requires an in-depth training to get command over it. Dynatrace can not store transaction running behind the background but it is not a dynatrace issue as it works only on root directory of your application. Dynatrace needs initial knowledge to start with but this is really a nice took for real time production application. Must to have and I recommend it. Great tool for identifying root cause of application issues in production. We have overcome multiple big issues using dynatrace. "I think this is the No. 1 monitoring software"
Dynatrance is a monitoring software for several cloud accounts that are analyzed to keep the user informed through their tools, this allows a complete monitoring of each complete application. It works when necessary and the features it offers for tracking are the best in its category. There is nothing I can say against Dynatrace, all the doubts that we have were canceled once we use it, now we are more than satisfactory for the good choice, which is not only essential for the tracking of the other applications. Easy to use, Dynatrace does not require much experience to start using it, it is increasingly easy to use, it is proof that the technology has made a positive change, this software shows in a detailed report the problem that occurs in some applications together with its location. "Slick, fast route to value, and so much promise." The product is very easy to get moving with, and it enables people to drill in to detail quickly and effectively, allowing a rapid path to identifying problems. The information available is also easily exposed to show operational status, and what is more, you can set it up to show business information and how it's impacted by system performance, releases, outages etc. The agent updates have been problematic in the past, and also using Dynatrace Managed, the deployment doesn't have a good solution to establishing monitoring in a DR situation. Look at what it can do for you in terms of business information in order to maximise value. Watch out for agent updates, don't auto update agents in Production, test first. "Dynatrace Appmon is a must"
It just works. All the components are working as expected in an efficient manner. Support is efficient and has good inputs and solutions. The dashboarding is great and flexible and the "chart" dashlet allows to monitor trends. We have hundreds of users and the Dynatrace client does not protect the frontend enough from users that use purepath, database and web request dashlets with a large time range (1hour +). - Quickly find performance problems linked to slow or unavailable databases. - Find specific transactions that cause performance problems. - The process monitoing (memory, thread, cpu, dumps) has helped us find leaks and runaway processes. - High level dashboards that allows us to monitor user experience (APDEX) and application usage trends. "Great product for digging into issues!" The ability to show the flow of transactions, where the errors are and what functions are responsible for the long run times or errors is awesome. Even a non-developer like me can troubleshoot and find the cause of issues. There is almost too much information at times. It is very easy start investigating an issue and wind up researching an issue that isn't the actual cause of the problem you're trying to sort out. Setting up business transactions would be really helpful, but I still haven't figured out the best way to do that. I don't like that they keep changing the product's user experience and menus. this makes it very difficult to walk other users through how to troubleshoot issues on their own. I also don't like their customer portal or how their support and account management team has decreased in their helpfulness over the years. This is the product that you will want, one that gets every request and lets you inspect everything about that request. The installation process is easy, but you should carefully consider the licensing and where you should use this (we use in production and our performance test environments) because it can be very expensive if you roll this out everywhere. We are using this to find and troubleshoot issues with our applications, whether they are application issues with IIS or Tomcat, database issues, or network issues. We also use Dynatrace to chart errors, and monitor server health (memory/cpu/disk). "Gran software con mucha potencia"
Al comenzar a utilizarlo se puede hacer complejo el hecho de encontrar todas sus funcionalidades y conocerlas a no ser que alguien te instruya, de hecho tras haberlo utilizado un tiempo estoy convencido de que aún se me escapan algunas de ellas. Hay que tener conocimientos de informática para poder utilizar este software, y además conocer las funcionalidades que tiene para sacar partido de el. Cualquier problema relacionado con la aplicación web de mi empresa, te permite ver cual es el problema y localizarlo muy rápidamente. After having used AppMon since almost its initial release some like 10 years ago I am still amazed by its future-proof and rock-solid design to this day. Being the "older brother" of today's cloud-native "Dynatrace SaaS/Managed" solution (initially called "Ruxit") it has still many unique features and advantages to offer. First and foremost I value very much being in control over what is being measured and for what purpose. AppMon gives you a staggering amount of control and flexibility to analyze what your code is doing "in the wild" and I like to think of it as the swiss army knife of Application Performance Management. With its highly customizable integration options and extensibility using a REST API as well as a powerful plugin architecture there is almost no goal that can't be accomplished, no matter how complex or outlandish your problem might be. And last but not least for me it has been a learning tool of tremendous value over the years as it allowed me to "see the truth" of what was actually happening on our infrastructure - which more often than not was quite far from what one would imagine or what was initially designed... I learned about hidden problem patterns, coding blunders and deeply rooted systemic and/or architectural flaws. which would have gone completely undetected until it was too late if it wasn't for the level of early insight provided by AppMon. One other area where AppMon shines is in test automation and integration and its unique capabilities in providing accurate early warnings in your build & deployment pipelines when architectural or performance regressions are detected during your automated tests. AppMon has delivered a proven track record of being a very stable solution with negligible impact on the monitored components. The sheer flexibility of the tool might be somewhat intimidating to new users and learning to understand the core concepts like custom dashboards, business transactions, purepaths and user experience management is very important but certainly no easy task, especially if one has no previous background in application development. Providing a bullet-proof case for a positive ROI can be painfully difficult, therefore it might take some careful planning and determination to convince your CTO/CEO to make an investment into the tool. If you suffered a lot from well documented major incidents and war rooms you should use that information to make a strong, data-driven case. AppMon has dramatically reduced the number of "war room" type situations and helped a lot to establish the basis for DevOps as it has eliminated the technical and mindset "silos" which have grown over many years. For the management it is providing high-confidence application health and performance data which is used to evaluate SLA's against. AppMon keeps providing valuable data very successfully, especially as we are able to analyze longer time scales allowing us to detect slow-evolving but potentially dangerous trends. Through the extensive use of REST API's and custom plugins we are able to fulfill almost every (un)imaginable integration requirement being thrown at us. "All-in-one solution, fantastically easy to implement"
We're a smaller startup. We don't have the luxury of time or staff resources to spend on the major tasks of implementing traditional server host monitoring, Application performance monitoring, or log ingestion. Dynatrace was an amazing find! With nothing more than 3 commands, or a simple docker container, we had everything running in minutes. Within 1 week, we had enough customizations to be production ready. No other provider gives us log ingestion, Kubernetes/docker monitoring, and application monitoring for NodeJS. Some competitors provide aspects of that, and some offer all 3, but not for NodeJS. Dynatrace was the perfect fit. We also really love the automatic alerts. Dynatrace alerts are based off of deviations from baseline metrics it is constantly collecting. We didn't need to set thresholds ourselves. If something suddenly changes with our application or network that "doesn't look nromal", Dyantrace will tell us. It's been a breeze. The pricing is a little high, but still cheaper than competitors because Dynatrace at least HAS pay-as-you-go. Others do not. However, the pricing is confusing. I wish it was more simplified when trying to price out moving to a yearly contract. Give it a try with the free trial. It'll change your entire perspective! As mentioned before, we're a small startup. Implementing Dynatrace was a no-brainer. It would have taken us at least 2 months and hiring another SysOps person to get logging, monitoring, alerting, and APM implemented with cheaper or free open source solutions. It was far cheaper and faster to go with Dynatrace. The additional benefit we didn't even realize at first was dashboards! Dashboards wasn't even on our radar when we purchased. Now, we have a giant TV hung in the office that shows various application and network metrics from a custom Dynatrace dashboard. We love it. "Deeper insight into Application Performance"
Their synthetics testing is amazing and has helped us a great deal. The ability to see how our application is performing for our end users is what matters most to us. We can performance test all day and night but it will never really give us a true picture of how it performs across multiple ISPs and different geographical locations. This has really helped us realize a lot of our bottlenecks and helped us scale accordingly to meet customer demand in certain areas. A bonus for us is that since Dynatrace acquired Keynote, they have done a really good job at merging the benefits of both tools into a single service platform. Also their customer service is fantastic! Everything is great but the licensing could always be cheaper. With the every growing tool set of Ops teams, we find it harder and harder to budget for tooling while ensuring we still have the proper insight into our applications. Now with the acquisition of Keynote, Dynatrace is certainly a top contender in the APM/RUM space. Our ability to accurately measure our site reliability and uptime. We are currently leveraging the DynatraceAPI to gather metrics and send them out to wider audience on a daily basis and at the same time get a true benchmark of how all of our applications are performing across multiple providers and geographical locations. We also using this tool to help us better gauge customer impact during our postmortem process. "Perfect tool for business "
tracing and analyzing is the best one for performance.The first perception assumes that APM is about speeding up some arbitrary method performance and the second assumes that performance management is just about discovering that something is slow. Neither of these two is what we at dynaTrace would consider prime drivers for APM in production. So what does it mean to have APM in production and why do you do it? The reason our customers need APM in their production systems is to understand the impact that end-to-end performance has on their end users and therefore their business. They use this information to optimize and fix their application in a way that has direct and measurable ROI. This might sound easy but in environments that include literally thousands of JVMs and millions of transactions per hour, nothing is easy unless you have the right approach! Your screenshot is blurry and I cannot make out the text. Also, I am not totally sure how to capture the failed/success/timed out status on a PurePath, therefore it would be a struggle to recreate a measure at this point. Updating is not an option as we are headed into peak season. application availability was the problem and its improved a lot now.Dynatrace gives you the ability to see applications the way your customers do, which allows teams full operational insight. This insight is the key ingredient to stay competitive in today’s market. "Measuring real customer experience and act upon that"
Dynatrace is really on top of it's game. New technologies like nodejs and containers are fully supported and they really try to stay ahaid in stead of following. The new AI features in Dynatrace, the voice-ops / chat-ops with Davis and Alexa just work out of the box. Problems are reported in stead of incidents, so you get the root cause in stead of 1000 separate incidents and you can replay the entire problem scenario. Visually complete and speed-index provide the ultimate user experience measures which really reflect what the user sees. The ease of deployment and updates. Certainly with the new Dynatrace, but even with AppMon. Dynatrace support is great. The forums contain a lot of usefull info, but when you have an issue or question and you really require help, the support team is really there for you. Info is correct and within time. Sometimes they even create specific fix-packs just for you. As long as it's web and mobile (IOS and Android), it's all very easy. But from the moment you start with rich clients it becomes more challenging. Dynatrace provides insights into your applications, your infrastructure but especially on your users and how they experience your apps. This is very valuable for devs and ops to understand what the real impact is of their code and infrastructure on your users. But also for business and management it brings a lot of added value. Investments can be made which really help your users and you can measure it instead of guessing. For a rather large application which we support, we have a rather small devops team that does it all with great confidence. We can anticipate on problems and fix issues a lot faster than before. Triggers timely alert of the production actives like pure path response time, instance unavailability etc. Stores in depth information as much as possible related to the application issue. Provides option to create customised dashboard to better handle according to your requirements. Drildown functionality is smart enough to link transactions from one section to another. Search functionality and Filter options are also very effcient in dynatrace. Dynatrace installed on our server only identify requests going through the application root. It can not get information related to the executable invoking the application component. This creates some time issue for us as we do not have any dynatrace incidence recorded. Dynatrace is sometime last hope to find complex to complex issues and their resolution. Must to have for every app. Application monitoring in production. Dynatrace helped us to identify the root cause of many production problems. We have fixed multiple issues which were non-recreatable from a human. "Dynatrace Implementation in our production environment"
The first thing I like about dynatrace is that the tool is very light weight component and very easy to install across the servers. The agent installation is very quick and configuring all the different JVM"S like web sphere ,web logic , Java jetty servers etc. I like dynatrace tool and mostly I like the pure paths and dashboards.Yes, I would definitely say it improved the functionality. we are able to prevent the major down times by pro-active monitoring alerts.Server monitoring, Dash-boards, Pure paths, Pure paths comparison are the most useful features.We started using dynatrace software for better alerting and application monitoring mechanism. we are happy with the server monitoring but we feel like application monitoring should be improved. I would like to enforce more alerting mechanisms and focusing on the exact exception/error. business problems I have solved with dynatrace is that minimizing the downtime and avoiding huge down times in production. with the OOM and JVM hung alert mechanism we are able proactively identify the issue and fix it. if there is any issue with backend we are able to deduct with the help of application personal incident rules. "Dynatrace admin and user experience "
The one thing I do not like about dynatrace is that their WebUI dashboards are very very slow. they seriously have to improve their WebUI dashboard configuration and SSL timeouts. I would absolutely advice using dynatrace to other users.
" Microservice Provide,r --> you need to monitor, prevent, identify & troubleshoot your API ecosystem"
None so far. I think an auto refresh built into the view would be nice when deploying to team monitors or wall monitors. There are other products on the markets but it's not often can you get monitoring, detailed troubleshooting and synthetic agent testing at remote local pops in one package..I recommend this product. The ability to monitor microservices, and leveraging the end-to-end trace analysis provides clarity on where the problem is within the process. We believe this should decrease overall time to troubleshoot, and resolve support issues. I like Appmon best. The way Purepath gives us extended details of each request, it really helps to get RCA faster. The amount of flexibility it provides in creating measures is really great. Similar to measures it also provides flexibility in creating complex Business Transactions . Similar to Appmon we are also using Gomez solution for synthetic monitoring of our production systems. It really helps us to test it from multiple locations. I would like to see distribution plots added to charts. Sometimes it becomes important to understand distribution of different metrics over time. In our organization we are using Dynatrace for monitoring the performance of production systems plus test environments. With Purepath and different hotspot dashlets it helps to dig into issues. In my previous organization I have deployed many implementations of Appmon and everywhere this tool has helped us tremendously in identifying the root cause to different performance related problems. Indepth analysis of a request using UEM module. Purepath drilldown is a nice feature to find all related activities for a request. Dynatrace is very helpful sometime in finding the actual root cause of a production issue when our application cannot log the error. DB ratio hit and average time on the dashboard is great to understand the server condition. There is no help on complex sections. No other issue identified but it loads slightly with delay and that might be because of the fact it is so large on both the functionality wise and the data stored. A very nice tool which helps in most production issues analysis. Must to have. ""Priceless understanding in the engine of your applications""
Greatly spares time when researching the underlying driver of utilization issues. Rather than physically trawling through individual servers for execution details, blunder logs and so on, Dynatrace gives it all in a solitary web UI. PurePath see permits visbility of the accurate lines of code that are coming up short and what the reaction from a remote endpoint was for instance - assists with repeating a call to analyze what's turning out badly. Perceivability of Host server wellbeing permits a speedy check for memory/CPU/plate space issues and alarms can be terminated to guarantee they're amended before bringing about any downtime. Interface can be a touch of overpowering at first with somewhat of an expectation to absorb information to discover your way around it. When you become accustomed to the format and different choices however it's incredibly amazing and valuable. Set aside the opportunity to label your hosts/resources for make look/separating simpler. Take a gander at custom-made email cautions so you're informed regarding any issues when they emerge. Center of the night blame fix callouts are a lot less demanding to analyze and remediate because of Dynatrace alarming and the capacity to penetrate down by means of PurePaths to the particular calls/asks for that are bringing about mistakes. Setting up alarms implies you can recognize and fix issues frequently before the end clients are even mindful of them. "best in class APM solution"
Dynatrace not only tells you your users are having issues with your application, but also where you should look to fix the issue. In modern complex applications it is no longer enough to just hope for the best. The latest product utilizes AI and massive automation make it really easy to deploy. The products or the company goes through a rebrand/renaming about once a year, which creates some confusion with customers. When looking for an APM solution people look for a solution that provides most metrics. With Dynatrace a lot of the metrics are hidden behind the scenes and only surfaced when needed. Most important is whether you monitor all transactions or just sample every now and then. I would rather base my decisions on all transactions than a random sample. Finding issues that previously occupied people for months. Just pointing the finger at a problematic piece of code is magical. Business and IT come together to understand how apps work, no more unproductive discussions and blame game. "Dynatrace is a most have tool for companies that worry for customer experiencie"
Dynatrace is the best offer right now in the market of APM. According to our esperience, Dynatrace is by far ahead of their competence cause the of integration and deployment in both cloud and on premise infrarestructures. The quality of information that it delivers is invaluable. One thing to get in mind is that if your are new to APM it will be a great idea to take the Dynatrace Univsersity training. Dynatrace might not be the cheapest tool out in the market. The efforts that the company has done in R&D are reflected in the final price. Against its competition it is a disadvantage but, as always, the final desition is up to the customer. I will recommend you to take the demo, make a POC in your own environment. So You will fall inloved with. The easy of deployment and great value for what you paying makes this tool a great value for any deployment team. Dynatrace has the capability to resolve different kind of problems, from infrastructure to application performance. When you take advantage of the IA to find cause/root for application performance issues, or to get to know better to your customer, it makes all sense. Dynatrace correlates problems and determines a root cause for them. This is very useful for large environments, where multiple issues may pop up and it helps to quickly track down what triggered the spurt of failures. Dynatrace also provides monitoring of nearly the entire infrastructure at my company, from the physicals, to the VMs running on them, to the databases that these services call. My company utilises some older technologies that Dynatrace doesn’t monitor as thouroughly out of the box. Custom metrics can be utilised to help fill this gap, but these are still a little lacking in how they alert on the Prolbems page and how they appear in dashboards. The main business problem that Dynatrace has solved for us is getting “eyes off glass,” meaning instead of having the team spend time watching dashboards and waiting for an irregularity, Dynatrace notifies the team via email and other notifications whenever something arrises. Dynatrace has also assisted us in finding issues that we were not aware of, as it finds connected services that weren’t being properly monitored before. "Dynatrace is a great product for understanding your business"
"Dynatrace get things done "
Dashdboards! It’s super convenient to have every piece of information right were do you need it, it’s great that you can add or remove chart or reports according to your or your business needs. It may be complex at first, specially if you are a non technical resource, documentation helps but it’s a complex application that requires time and dedication. "Great features and capabilities but not recommended for an APM newbie"
Excellent suite of features that are not available in any other product out there. All features are well-integrated and easy to navigate from one to another. Easy to deploy. Usually scales well (if testing and capacity planning was done properly). Very user-friendly interface that allows you to get to performance problem root cause very quickly. Set-up is deceptively easy, and the sales team can sometimes lead you to believe that it’s a plug-and-play type of product that will not need any considerations or testing before deployment. This is not the case. It is a rather invasive product which can have unexpected resource consumption issues or unexpected behavior if the monitored systems don’t scale well or have weird code. You will get the best value out of this product if you have an experienced APM specialist or someone who is very technical, very good at problem solving, and a quick learner. It can be very misleading and confusing to a non-expert or to a business user. Rapid insights into business impact of application and system performance. Quick detection, analysis, and fast resolution time of app bugs and performance problems. "Dynatrace: The Rise of BizDevOps"
I like that DT is paying attention to the gaps between IT and stakeholders and tailoring the product to work for both while facilitating an ongoing dialogue between the 2. By making metrics like the ones visible through Dynatrace available in such an easy-to-use and visually appealing way, website health is sort of addictive. Suddenly, conversion and booking numbers matter to our developers, and CPU usage matters to our executives. Roadmaps are well presented at the yearly conference and then shared to the community through several channels (social, email, blog, etc) but certain tracks seem to go “dark” after that and communication/documentation isn’t exactly where I’d like to see it as a customer and advocate within my company. This area has improved over the last year and i’d Like to see more visibility for release notes (pop up when logging in with a link over just a mention in the blog or, at least a direct link to the blog). Understand all the offerings and how they fit into your stack before you dive in and be sure to look at this tool as more than just a way to know when something breaks. You want to fix outages sure, but you want to also avoid them and as you grow, you want to track your users in a way that helps you understand them and ultimately change your product to better suit their needs as we all grow. Performance, opportunity, and monitoring. We’ve been able to build a more reliable application and solve critical issues much faster using DT. By establishing key metrics and socializing those, we’ve also set the gold standard at our company for what APM and DEM should look like by building a comprehensive set of rules, alerts, dashboards, and more that meet the needs or not just our technical teams, but those of our stakeholders, and ultimately our customers. "Why not use Dynatrace to track your problems?" `I like the ability to see the all the ways to track a problem from end to end, using this has been a much better way to track those issues. `I would like to see that we could get this tracking on the HPUX as well to help in finding some of the issues we are getting on the `unix side as well. This is a monitoring system that can use AI to learn the system and then start to dream out your system for you, this is very helpful when you have over 65 different systems that are running and the need for up time is so valuable and customers can be effected with some of the outages that might happen. We are now using this to track the ability to resolve problems from slow response to just outages from web services that are not responding for us, now we can start to do full stack traces and locate issues from SQL to just some firewall rule that was put into place. "Amazing tool to find problems"
Because there is so much data it can seem overwhelming. Also you can fall down a rabbit hole and end up spending hours just mapping out all the information depending on the size of your environment. I would like to be able to see a longer history than 10 days for user sessions, a lot of times we don’t get a report until maybe 20+ days later. I definitely suggest purchasing this tool to help monitor your entire business architecture. It will help find problems that you normally wouldn’t be able to track easily. We have been having issues with old systems crashing which bring down other critical systems, also we were having major issues with sql session state. This will pin point the problems areas so we can correct before it becomes an issue. Dynatrace offers the most comprehensive environmental monitoring available today. The tool gives you a complete topology of your entire environment so you can see what's being talked about. You will be surprised what he shows you. The dashboard features are much better. Its ability to monitor the interior of containers is also unsurpassed. Custom Desktop, Transactional Analysis, Purepaths helps you find problems from the root. The in-depth analysis capability is impressive to go deep into the question, the option to filter by transaction is the best and gives you more specific results. At Dynatrace, performance degradation issues are deviations from the set base performance that impact services and / or applications in your environment. Here is an example of a scenario with a problem that is due to a performance problem in the infrastructure layer. It is a very complete product, it can be used to do simple analysis or to dive deeply into processes that can cause you problems on your servers. It is a must for companies of all sizes. There are obvious benefits in detecting development cycle issues early, but there are benefits that are greater than expected security threats, and multiple APIs require a single action, the ability to track license costs. "APM prepared for the future"
What I like best is the capabality of following all user actions across all monitored infrastructure, and even to systems not monitored, but interconnected. I also like the AI capability. I have seen some of it's capability in production environments, and it's pretty impressive! It's not a marketing buzzword being abused, but it actually works! Being able to offload problem handling and root-cause analysis, and get to the point analysis of complex systems is something very important, as systems/applications are getting even more complex. In the new Dynatrace offering, support for legacy applications is still not there. But given their excellent support of legacy applications and protocols in the AppMon & DC RUM offers, they have the knowledge to put it their, knowledge that isn't available in their competition. You're going to be surprised. It's difficult to keep pace with their solution. But it's mostly automatic, so you only to give importance to what's really important for you. But when you need the detail, or additional information, it's there, as there are no gaps, as it is not based on sampling. Dynatrace is excelent in troubleshooting scenarios. You don't get samples or gaps. You get the real thing. And that is absolutely important when troubleshooting the most complex situations. Focus on root cause analysis has made for a significant drop in the importance of alerts. I was once used drowned in alerts, but now have refocused. Alarms are still there of course, but now they are about minor things, and I see myself getting rid of them very soon. "Best application monitoring tool available"
Dynatrace is a phenomenal application monitoring tool! I love how easy it is to build custom meaningful dashboards that I can show to our internal teams and the end customers. The representation of the data on the dashboards is easy to understand and aesthetically pleasing to the eyes. I am able to display all the trending, volume metrics, and availabilities that matter most all on a single screen. I also like how I can drill down a problem ticket to find what is the root problem and view what additional objects and services are being impacted. This helps our users understand the application better while reducing our MTTR. It was a huge culture change in the way our organization views monitoring, but a necessary one. We are very pleased with the product and the support we receive when we face challenges. The API documentation is not user friendly. I would love to see the documentation rewritten to make it easier and clearer to find exactly what data/metrics I need and how to use them. I would also like to see how other clients are utilizing the API and have access to a repository of these mini projects. The cost of the product is very high. Make sure you can integrate with your ticketing system. Discovering root cause of a problem or an outage without needing 20 people on a conference call sharing information has been made a huge impact in our organization. This tool greatly reduced MTTR and finding the root cause to our application problems. "Excellent easy to use product!" The dashboard functionality could be a little better, we have very simple dashboards configured of our front of house teams which clearly show when we have an issue. But been able to show more information on technical dashboards with more configuration options would be good. Gof or it it's excellent! "Dynatrace has helped us to resolve platform issues in many ways!" The great thing about dynatrace is it is light weight and does add much burden to our servers and network bandwidth. The details of the identified problem listed on Dynatrace helped us identify the issues related to code/network/servers and it was really easy to navigate through and drill down to the details we need. We like the university site provided by Dynatrace to give our staff training in their own pace. 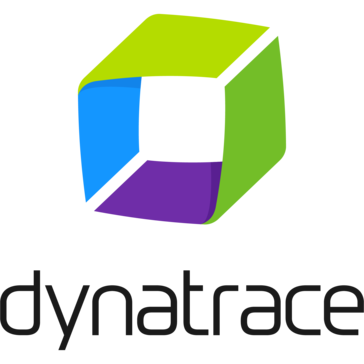 There is no much to dislike and we would like to see more features coming out, we hope there would be more training and webinar to be provided by Dynatrace to help us get the maximum potential of Dynatrace! It helped us identify network traffic issue and code issues related to our platform software. We were able to find out the users that were impact and the time it happened. it was really used. This helped us to notify and contact the user before they come to us! "Excellent Product With Massive Insight to Detail"
Dynatrace has the wonderful capability of providing accurate and detailed alerts for our on call team and help desk. Its web portal as well as mobile app allow our end users easy accessibility from where ever they are working to monitor the health of our servers. Dynatrace does a fantastic job of delivering organized alerts and coupling them into easy to read problems. I have no complaints about this product. Ever since its roll out, its help our team be extremely proactive. If your company hosts web applications, Dynatrace is an excellent product to manage production nodes. We are able to minimize the time of an outage on any of our servers and while our team is remote there is plenty of ways to be alerted via the app and email alerts. Also Dynatrace allows us to be proactive in the sense that we are able to see past failures and predict future ones thereafter. The information available at your fingertips from 50k down to individual queries per user session is immensely useful. The single dash for gleaning information is handy and means almost entirely foregoing accessing the machine via SSH. The ease of installation and discoverability makes getting productive with the platform easy and overall very approachable. In my opinion there's room for improvement in the UI to make bookmarking views and saving sessions for troubleshooting pernicious "hot spot" issues that one returns to frequently. Increased uptime and proactive approaches to challenges in the wild. Production issues encountered by users client side is extremely useful for our Web team. The discoverability and drill down to slow queries is a life saver. We've also had stopping issues due to Apache crashes that were typically resolved by hand sifting through logs is now a figment of the past. Sorther debugging time by isolating the issues with few clicks. Also, I love the built-in search functionality; I can get to what I want with few key strokes. Having all the data in one place makes sense to avoid disconnects here and there and to pinpoint issues faster. The depth of information you get with extremely little setup time. The amount of information is quite overwhelming for a new system user. In the long term this is great as it’s exactly what is needed for issue handling, but more of a walk through approach to the various system areas would be nice initially. That being said, DynaTrace support were extremely helpful in getting us going. Need to set a significant amount of time aside to ensure that it is understood and adopted properly - it takes resource to implement well, but the benefits of doing so are huge. User sessions was a massive deal for us and the insight this gives us into what users are actually experiencing is amazing. The session replay stuff presented this morning was very exciting. Also it supports DB2 - a technology we’d rather be (but cannot be) without. Support for this in the same depth is lacking elsewhere. "Dynatrace : The best tool for performance monitoring and management"
The user interface ,the various option to drill down and analyze the pure-paths issue in services ,web pages, database sql queries and memory leakage make this tool one of the best tool in the market for the purpose of Application Performance Monitoring. The tool is a desktop based application and it consumes lot of memory and cpu usage is high. Be it webservices (SOAP .or REST) ,webpages or any other jobs it is recommended to use Dynatrace to identify the performance bottlenecks and improve them to deliver fast response and reduce latency. Improving the performance by monitoring the time taken in each steps.Also its give the report on the number of hits and flows of data . "A easy-to-use application performance monitor software"
Dynatrace can provide in-depth monitor of application performance, like JVM, memory, CPU, agent, request, latency and database. It provide different forms of data representation, like table and chart. Dynatrace has feature like 'Drill down'. It can provide very detailed information about application, database and server performance in many aspects. You can use it to monitor application running and help you to debug. The document is not easy to read. It is too long and most content is hard to understand for new users. Users still need to install client software. And the client has version conflict problem. For example 6.5 server doesn't support 6.1 client. I have to install 6.5 client after the serve has been updated. If Dynatrace can provide SaaS web application, users don't need to have trouble to install client. Google Analytics can help you to understand user behavior, but Dynatrace focuses on system performance monitor. Its document has several thousand pages, and you cannot have a good understanding of it after you read it. So it is better to have hands-on tutorials. In fact, Dynatrace is easy-to-use. You don't need to spend a lot of time learning it, if someone make a demonstration to you and you try it for a period of time. Out system has many applications and several server cloud. Dynatrace helps us to improve system performance, like JVM and GC. We also use it to improve database query performance. "Identify issues and root causes quickly"
One agent can be installed in minutes and find issues of our applications in matter of hours. Helped identify issues in 1/5 of the time. Usability factor was a huge part of the decision making when we were evaluating multiple products from different vendors. Need to be able to integrate with Microsoft CRM Dynamics SaaS where we are not able to install the one agent. If the One agent was auotinjected as part of the service we would be able to see the full stack. Do a POC to see how quickly it is to install, use, and get results. Application performance monitoring was more of an after thought only after production issues. It could take weeks or months to find root cause. Dynatrace has been able to get results in hours or days. The hot day sessions were great. They organized to include all. I was at the ACM this morning and was quite impressed with the way forward for Dynatrace, AIOPS being the future if monitoring. I also learned how other companies are leveraging this to improve their systems. The other thing that I am happy with is the venue this time around. The hotel is better and the rooms are near and bigger. Registration was not quite easy for some of us. I could not use my company issued labtop to participate in the hot day sessions so I couldn't do hands on with the lab. Would it be be better to issue iPads for this next time to make it easier for participants to engage in the hot day sessions. Nice tool to monitor applications in production. Dynatrace is capable of adding multiple servers under same login. This gives ability to add custom Dashboards and dashlets. UEM module to give indepth insight of any transactions. Feature of local sessions in offline mode. DB Execution time and DB hit ratio is a nice feature. Large execution time in processing the results. Filter not available to find transactions based on a particular data. Very nice monitoring tool to find application issues live in production. Must for any enterprise application. Production monitoring and root cause analysis of production bugs. Display all crucial activities like CPU usage, DB hits, longest running requests, response time etc. Graphical display of errors, issues and warning during a request processing with various color codes. Error Transaction Very good tool to monitor your production environment. Clicking pure-path/url of a request gives you all related details for that transaction using the dril-down functionality. Great product in it's competitive market.Gives you a lot of flexibility to use it in different ways. * We monitor all Dynatrace reviews to prevent fraudulent reviews and keep review quality high. We do not post reviews by company employees or direct competitors. Validated reviews require the user to submit a screenshot of the product containing their user ID, in order to verify a user is an actual user of the product. Hi there! Are you looking to implement a solution like Dynatrace?